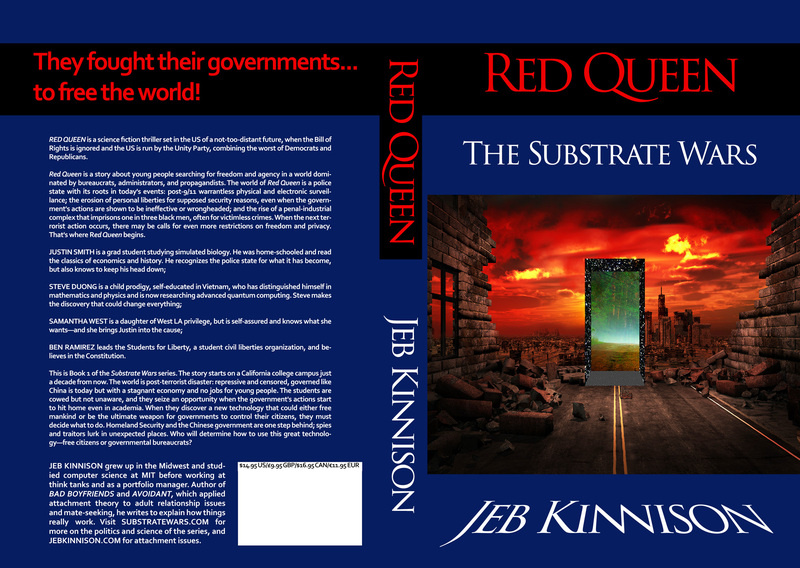 A new Amazon review of Red Queen: The Substrate Wars gives it the lowest rating so far, 3 out of 5 stars. But it’s pretty funny, and while the reviewer felt the high-level physics content was too much, he or she does seem to have enjoyed it. Which brings up the interesting question about high-level hard science fiction: are sales of fantasy and standard space opera better because all of the elements are familiar to mainstream audiences, and if you want lots of readers, do you have to dumb it down? …The language is highly technical, way too much complex for a fiction book and you need to be well versed in the field of Physics or rather quantum physics to understand the things being talked about. I suspect even then you would not be able to understand the logic as it starts at the toughest level and never lowers itself to make the readers grasp the basic string of the story. It was by the middle that the author explained what is Red Queen Effect and that was when i actually started appreciating the basic theme of the book. I think it was a brilliant theme to tackle in form of fiction and the basic story was actually pretty brainy but i guess that is where it went wrong… Being too brainy. The idea and the concept is brilliant and there are actually so many powerful elements that are discussed about the world we live in, a whole new set of ideologies are brought forward and the book gets its pace only towards its last run. The satirical mirror of our governing bodies and the countries around, pointed out in the book was good too. The Book is not for everybody as its not even fiction and more on the lines of Science journal and that is why i say that this book is for those who are connoisseurs in the field of quantum physics or whatever field the book was based on (see i am dumb even to know which field it was talking about). The language is pure science. The whole theme and concept was brilliant but i wish the author had stooped down to our levels to make us understand what he meant to say as he definitely had a lot of wonderful concepts to share which got lost somewhere in the science land. Posted in Books, Government, Science Fiction and tagged artificial life, chris pavesic, homeland security, personal freedoms, red queen: the substrate wars, review on February 4, 2015 by Jeb Kinnison.